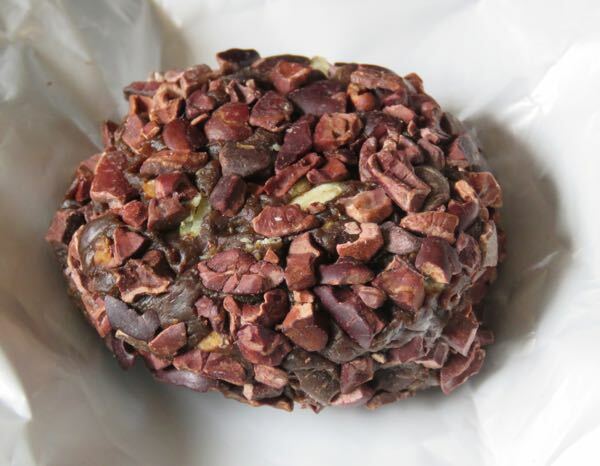 Welcome to Day #4 of Chocolate and Cacao Nibs Theme Week. 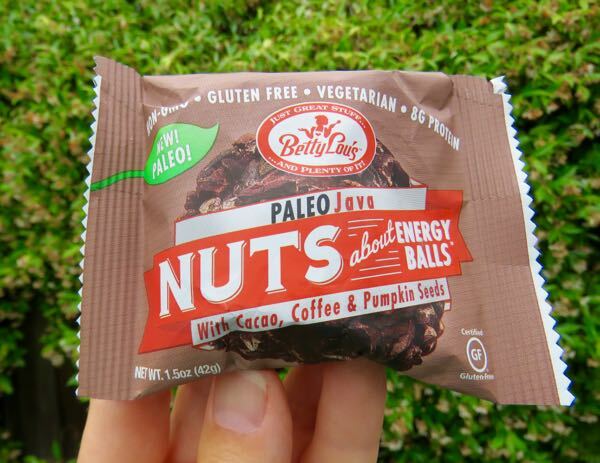 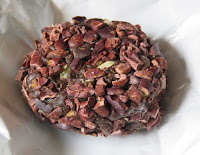 Today's Paleo Java energy snack was created by Betty Lou's Inc.(McMinnville, OR) and was part of the company's "Nuts about Energy Balls" line of snacks. 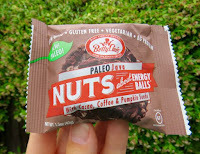 Made with dates, pumpkin seeds, cacao nibs, honey, raisins, coffee and hazelnuts, this certified gluten-free energy ball tasted authentic and satisfying—without the sugar buzz that can result from energy bars with added sugars.